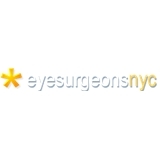 Eye Surgeons NYC (Brooklyn) - Book Appointment Online! Our kind and experienced staff has over 60 combined years of providing optimum ophthalmic care. Our doctors have been featured in ""Top Doctors: New York Metro Area" and are actively involved in clinical research. The doctors at Eye Surgeons NYC specialize in the treatment of Retinal disorders including Diabetic Retinopathy and Macular Degeneration and the treatment of Uveitis and Ocular Inflammatory diseases.